The biotech stocks plunge along with the broader market, as the smallcap and midcap biotech stocks retreat -17%. The larger cap biotechs and pharmaceutical companies are performing relatively much better. The performance dichotomy strengthens the argument for potential M&A. A recent proposal by the Health and Human Services Secretary to bring greater price transparency is not expected to change the biopharma landscape meaningfully. Opportunities exist in the biotech sector, but caution needs to be observed as downside volatility has not seen its final days. The precipitous, waterfall-like, decline in indexes this month was led by the sliding smallcap and biotech indexes. The chart below shows the anatomy of the pullback during the first half of October. The lowest two lines are the biotech indexes. In less than two weeks, the S&P 500 (SPY) dropped 7%, while the Nasdaq (QQQ) and the Russell 2000 (IWM) indexes fell over 10%, at their lows on October 11. The Nasdaq Biotech (IBB) and the S&P Biotech (XBI) indexes declined over 11%. This was a sharp pullback, but not something unseen before. The sharp erosion in indexes was quite similar in its ferocity to the one experienced towards the beginning of the year. The Table below shows the size of declines at the lowest points. It can be observed that the range of the two declines is quite similar. If the similarities were to hold, then it might suggest that we may have seen the worst of this correction. But sharp volatility will likely continue. One similarity was that both declines happened just prior to the earnings season. The Jan-Feb correction was assisted in its recovery by strong earnings and guidance, and hopefully, the present pullback will also find the earnings season to be the soothing balm that heals and assists in a brisk recovery. However, the big difference this time around is that interest rate concerns have built up to become a force majeure. In an earlier article, Federal Reserve Jolt, we had discussed in detail the events of early October when comments from the Federal Reserve Chairman Jerome Powell were construed as a shift towards a more hawkish posture, sending yields soaring and stocks sliding. The rise in yields was long overdue, but not in such a sharp manner. The 10-year and higher maturity yields were stubbornly holding ground and even slipping, foretelling a possible slowdown, at a time when the Federal Reserve was raising short-term rates at a gradual pace as economic growth remained robust. The Powell comments proved to be the catalyst to jolt these yields out of their slumber and spike higher. Higher interest rates are a side-effect of a growing economy, and not something to blindly fear. However, the sharpness of the rise is what was alarming and unnerved investors. "To say it bluntly, the objective for Team Powell is to avoid a monetary policy driven recession on their watch...Perhaps the key message from Jerome Powell's comments was not only that interest rates will continue to move gradually higher, but also that they are moving higher because the economic growth remains robust and persistent. That eventually is good for stocks." We believe the elevated interest rate concerns will dissipate with time. The economy remains robust, and it is now down to earnings guidance that is being issued as the third quarter earnings season picks up momentum. Barring any material revision to earnings estimates, the bull market remains intact. If the Correction is a premonition of something worse, like a bear market, then this is not how past bear markets started, with most economic indicators - employment rate, consumer spending, retail sales, business spending, and business and consumer confidence - at or near 52-weeks or longer-term highs. In a way, biotechs are just being biotechs. The sharp decline of -17% in the mid-cap and small-cap biotechs, represented by the S&P Biotechnology Index, is not a sector-specific correction but a reflection of the higher volatility of the sector in a broader market which corrected 10% to 12%. In fact, the Nasdaq Biotechnology Index's decline of 12% was quite comparable to the Russell 2000 and the Nasdaq Composite indexes. 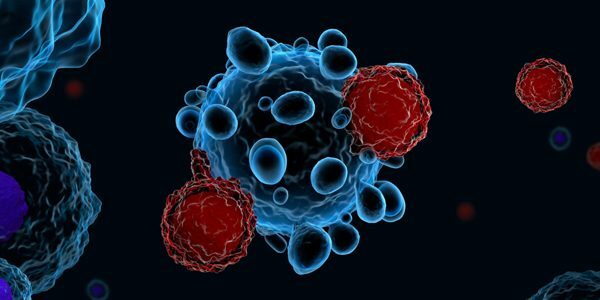 This is not to say that biotech stocks are not facing some unique issues as explained in the recent article, The Biotech Conundrum. But this decline was unrelated to any sector-specific concern. Rising rates or the expectation of rapidly rising rates begins to adversely affect the discount rate at which companies are valued. Higher the discount rate, lower the present valuation. This affects small caps much harder due to their relatively weaker balance sheets and relatively limited ability to assume and service debt. Biotechs with only pipeline potential to value and discount back to present are affected disproportionately, and this is the scenario that was witnessed in the first half of the month. which was a collection of various initiatives that can be undertaken to rein-in costs. The blueprint was an industry benign effort, with some of the suggestions assisting the industry, like faster drug approvals. One of the initiatives was a greater transparency on pricing. Earlier this week, the Health and Human Services (HHS) Secretary Alex Azar, speaking at the National Academy of Sciences in Washington, DC., disclosed that the administration will now require drugmakers to disclose the list prices of the medicines being advertised on television if the drug cost is more than $35 a month. The rule is expected to go into effect after a 60 day public comment period if no changes happen. But in reality, it can take many months or years for this requirement to be implemented as the HHS battles against the powerful industry lobby which is not in favor of such pricing disclosures on the grounds that many consumers don't pay list prices. The proposed rule would not have a clear enforcement component other than public shaming by the department. This requirement for price transparency, if it is approved, is not a meaningful blow to the industry when studied from an investors' viewpoint. A slow summer of M&A activity contributed to declining interest in the small-cap and mid-cap biotechs. One reason has been the higher valuations in the sector as the S&P Biotech Index climbed nearly 20% for the year by the Summer months of June and July, and outpacing the +12% gain of the larger cap Nasdaq Biotech Index. However, this has changed. Since the end of August, the larger cap biotechs and pharmaceuticals are outperforming the small and mid-cap biotechs, which have slipped over -15% during this period. This doesn't happen often during an expansion, as can be observed in the chart below. It's the first time this year that the relative outperformance of larger cap biopharma is persistent. The orange line, representing the mid-cap biotechs in XBI, has slipped sharply below the green and blue lines, representing the larger-cap biotechs and pharmaceuticals, respectively. Since the performance gap is not a frequent and long-duration event, one would imagine that the present situation would provide an additional and an urgent reason for companies to mull M&A transactions. Can the performance gap be a catalyst now to spark M&A activity? It is quite likely, but only time will tell. But it does make the broader case for M&A more compelling. When the typical acquirers, which are the larger cap companies, are performing relatively better than the acquisition targets, which are the smaller cap companies, there is an undercurrent of transaction support. The typical acquirers are companies like Pfizer (PFE), Merck (MRK), Novartis (NVS), Eli Lilly (ELY), Gilead Sciences (GILD), Amgen (AMGN), Vertex Pharmaceuticals (VRTX), Johnson & Johnson (JNJ), Sanofi (SNF), and Bristol-Myers Squibb (BMY), to name a few. The stock prices of many of these companies are near their recent or 52-week highs. While the typical acquisition targets live mostly in the small and mid-cap world. The markets are experiencing rate anxiety and the nagging fear of a prolonged period of rate increases. Such a shroud of anxiety is hard to lift away rapidly and completely. The concern never really goes away in an expansion cycle, and if not at the forefront, it always lingers as a backdrop. The present situation will improve with time as the market realizes that the Federal Reserve is highly data dependent. The case for a pause in rate hikes is not compelling enough at this point to even consider retreating from the next two rate increases. Consequently, volatility is here to stay for the immediate future. If strong earnings continue to be delivered this month and the guidance is maintained, one should expect a stronger market in the final two months, particularly as the election-related uncertainty subsides. A change of control of either or both chambers of Congress will be considered somewhat negative for biotechs but not material enough to meaningfully change the investment landscape. 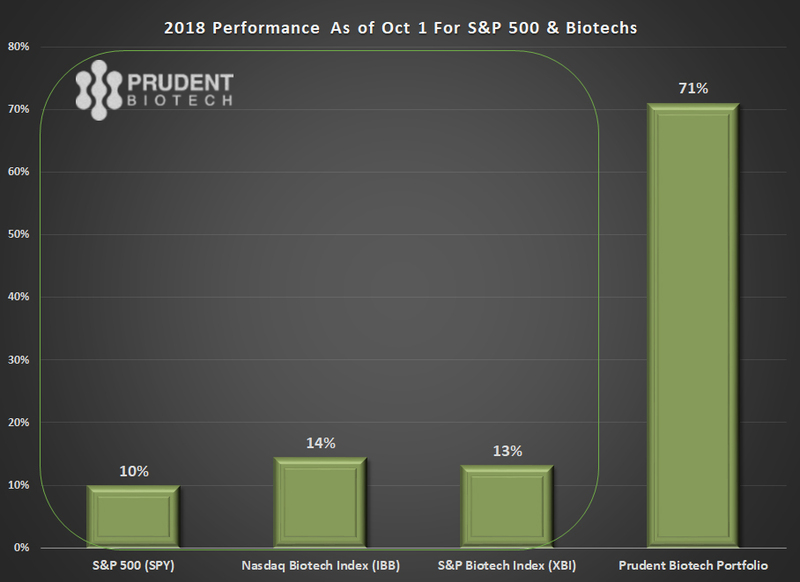 At the beginning of October, the Prudent Biotech Portfolio was up +71% for the year. We had reduced the model portfolio exposure to 75% at the time and then reduced it further to ~40% by mid-month. At this time the stock market has been so oversold that one can reasonably expect sharp moves higher on some days. However, the near-term market uptrend is broken and it will require a period of healing over the next few weeks. It is exciting to bottom-fish and be buyers, especially for short-term traders, as one has much to choose from after the sharp sell-off. But caution has to be observed as the risks remain that downside volatility has not seen its final days in this episode. There are many promising biotech companies that remain attractive. 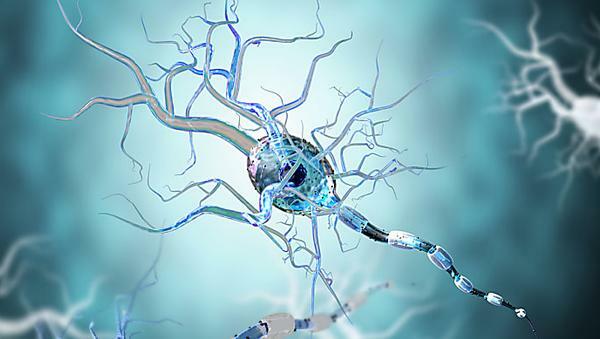 A few of them, which may be now or in the past part of our model portfolios, include Vertex Pharmaceuticals (VRTX), Regeneron Pharmaceutical (REGN), BioMarin Pharmaceutical (BMRN), Loxo Therapeutics (LOXO), Regenxbio (RGNX), Sarepta Therapeutics (SRPT), Acadia Pharmaceuticals (ACAD), Neurocrine Biosciences (NBIX), Endocyte (ECYT), Arrowhead Pharmaceuticals (ARWR), Amarin (AMRN), Acceleron Pharma (XLRN), Viking Therapeutics (VKTX), Endo International (ENDP), Fate Therapeutics (FATE), Proqr Therapeutics (PRQR), Adaptimmune Therapeutics (ADAP), Ra Pharmaceuticals (RARX), Aldeyra Therapeutics (ALDR), and Vanda Pharmaceuticals (VNDA). Author's note: As always, kindly do your own due diligence. The small cap/early mid-cap and biotech sector carry more risk of losses than the broader market. For additional information and helpful links, please check the Profile by clicking on the name above. Also, you can click on the orange "Follow" button to receive such information immediately when published. Please feel free to add to this commentary or point out errors in the Comments section. Opinions can change with time and additional data. More details about our exposure to the names mentioned herein are in the disclosure below.